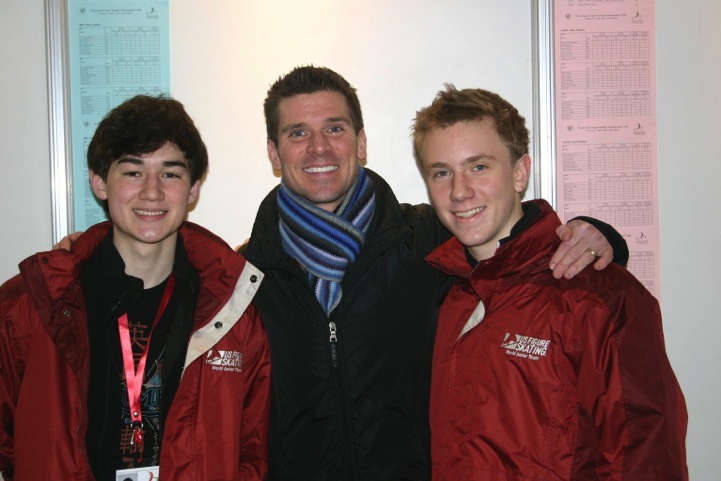 The 2011/12 competitive season began with developing and training a new long program based on the music from the “Untouchables” that was choreographed by Jamie Isley. I debuted the program at the Middle Atlantics competition at Chelsea Piers in New York City. I had been notified a few months earlier that I had been chosen to participate in two Grand Prix events this year: the first at Skate Canada in Mississauga, Canada and the second at the NHK Trophy in Sapporo, Japan. My first outing at Skate Canada was somewhat disappointing, as a popped triple axel in the short program placed me low in the overall standings (ninth out of ten skaters). Fortunately, I was able to redeem myself a bit in the long program by placing fifth in the long program and sixth overall. 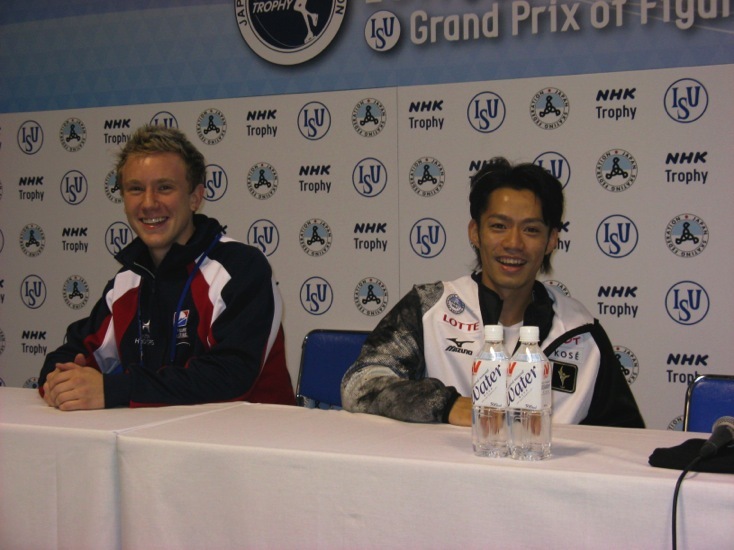 Just a few weeks later I was off to Sapporo, Japan to compete in the NHK Trophy. I had a decent short program and finished in sixth place, just three and a half points out of third. The NHK Trophy was very competitive this year. Only nine skaters ended up competing and of the nine there were three Japanese skaters (including Daisuke Takahashi, Takahiko Kozuka and Tatsuki Machida) and three U.S. skaters (including myself, Armin Mahbanoozadeh and Brandon Mroz). The three additional skaters were Tomas Verner, Samuel Contesti and Konstantin Menshov. Needless to say, the field was quite competitive. As many of you are aware, the free skate starting order at ISU Grand Prix events are in reverse order of placements from the short program. This meant that I would be the third skater in the first warm up with six skaters to skate after me. Skating in Japan is very special. The venues always sell out, the fans are very knowledgeable about skating, and, most importantly, support all skaters. 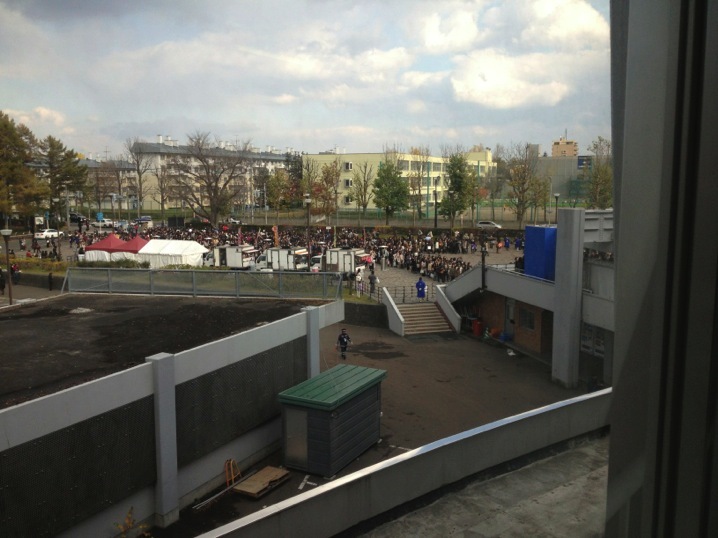 Arriving at the rink on the day of the long program, there were literally thousands of fans lined up in a very orderly fashion with the line snaking and filling the entire entry to the stadium. The Makomanai “Sekisui Heim” Ice Arena is the original venue used in the 1972 Winter Olympics held in Sapporo. The rink only holds 11,500 people and is quite a bit smaller than many of the “more modern” Winter Olympic facilities. It is similar in size and feel of the 1980 Herb Brooks area in Lake Placid, which holds 7,700 spectators. 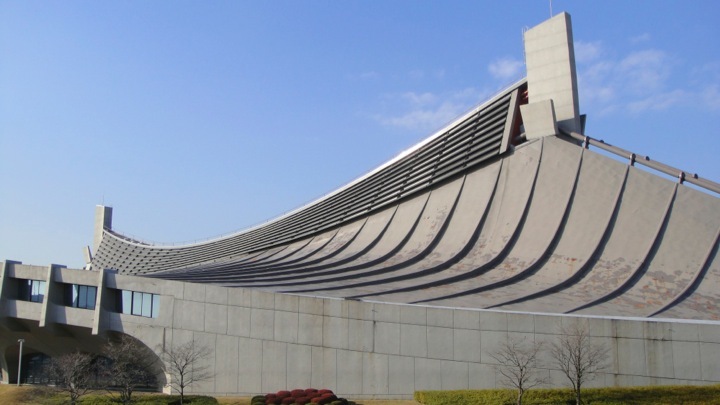 Much like Yoyogi stadium in Tokyo, the Makomani Arena is very interesting architecturally. Well, long story short, I skated a solid and consistent free skate. I was within .3 points of my long at Skate Canada and upped my total score by 10 points. With six skaters left to skate and all with higher short program scores, all I could do was wait and see what the final result would be. After Tomas Verner skated I was still in the lead and there were three more skaters to skate, I started to get a little nervous. I would probably be required to skate in the exhibition and did not have my music or costume. I was desperately trying to get in touch with my mom so she could run to the hotel and grab what I needed. I forgot to mention there was less than an hour between the end of the men’s program and the start of the exhibition. After Samuel Contesti skated and his scores were announced, it became very evident that with only two skaters left to skate, I would be on the podium! My first ISU Grand Prix medal! Instead of savoring the moment, intense pressure to be ready for the exhibition was turning into panic. With the medal ceremony between now and the opening of the exhibition, there was virtually no time for me to get prepared for my exhibition number. Having had experience with this problem before (at the 2011 U.S. Nationals), I knew my mom would figure everything out. Since my Bruce Springsteen exhibition program only requires jeans, the tourist store Hokkaido tee shirt (the name of the island upon which Sapporo sits), she purchased running through the lobby of the hotel turned out to be a big hit. Problem solved. What an honor it is to medal in Japan. 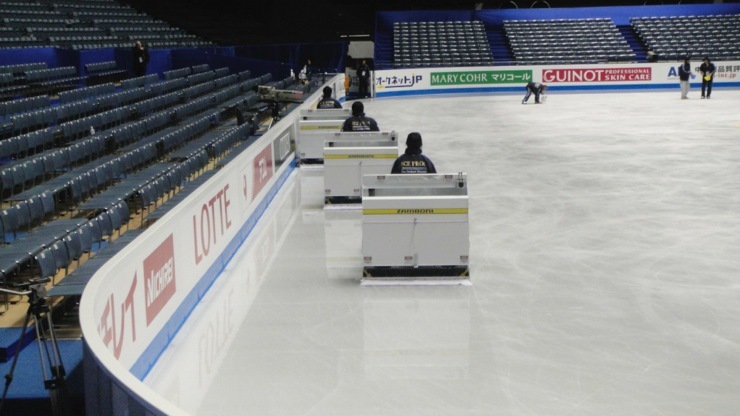 At many medal ceremonies throughout the world the stands are almost empty as spectators clear the arena after having spent way to may hours sitting and watching skating. In Japan, however, the stands are almost as full for the medal ceremony as the event. Being the only non-Japanese skater on the podium may explain the large audience. The clapping in time to music, hundreds of people crowding the boards, and, most importantly, acknowledging me as loudly as their own is very, very special. In the multimedia section of this website, under the video section, you can watch this ceremony. At the end of the video, pay close attention to the “victory lap”. Dai has to make a special trip back to his coaches to “unload” his gifts and flowers. What a rock star! Once back in Boston, I had about two months to prepare for Nationals. I felt great and my progress at international events allowed me to skate with confidence. About a week prior to my departure for Nationals, a box arrived at the Skating Club of Boston. The box had a customs label that said it contained paper cranes and boy was I surprised when I opened the box. Imagine an origami paper crane, and how many folds are involved to create one paper crane. OK, even with instruction and maybe even some personal assistance I might get one crane out in about 15 to 30 minutes. What I received in that box from Hiroko Arita and her family blew me away. In that box were 1,000 yes, 1,000, folded paper cranes attached end to end by string and arranged to form a giant pom-pom. Additionally, jewels were attached at various intervals to further adorn, what I will call the structure. This note was found attached: “Dear Ross, My friend and my family and I folded 1,000 paper cranes to bring fortune in your next win!! Good Luck!....Hiroko Arita.” It is difficult for me to fathom how many hours and the great care that went into making this most precious gift. Each crane is as perfectly folded as the next. I cannot imagine how many hours went into this project. Please see the attached photo to admire this detail. 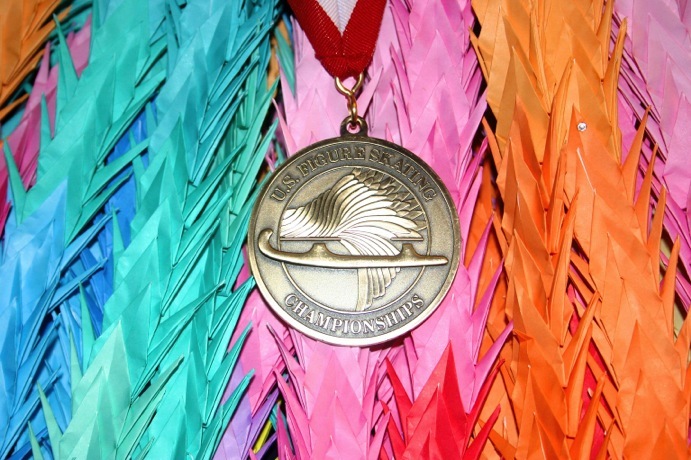 I have pictured the 1,000 cranes with my second U.S. Nationals medal because I would like to dedicate my success at Nationals to Hiroko, her friends and family. Their thoughtful gift certainly did bring me fortune at my next win, and perhaps a few more to come! 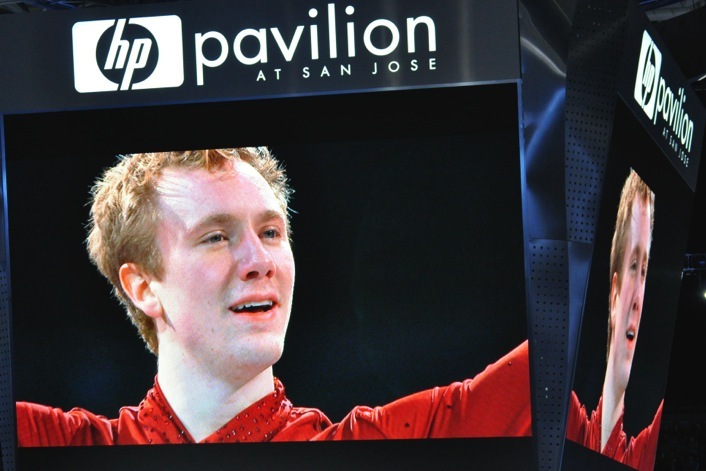 Nationals were held in San Jose this year and I had a very respectable short program. My triple lutz-triple toe could have been better, but otherwise a good program. I placed fourth in the short with about 4 points separating me from second place. I thought I skated the long program quite well, although I did have an incident (some call it a costume malfunction). After my first triple axel the strap that attached around the skate broke and I skated the rest of my program with a “high water” pant leg and exposed duct tape that I use to keep my laces in check. I keep the laces in check because about three years ago I finished a program with about two feet of lace trailing behind me. Now that I think about it, maybe duct tape from my knees down might be in order??? I finished the long with two miscues, I fell on my second triple axel (after what appeared to be a decent landing) and tripped on my choreographed footwork (although Scott Hamilton suggested I should have sold it as a planned portion of the footwork sequence). I finished the event with my second bronze medal and was honored to be selected by US Figure Skating to represent the U.S. at the upcoming Four Continents to be held in Colorado Springs. 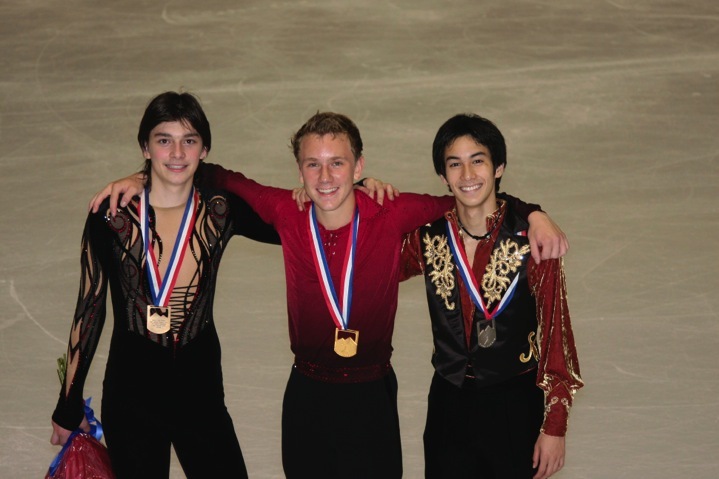 A few short weeks after the U.S. Nationals I found myself in Colorado Springs at the Four Continents Championships. I got there about four days prior to the event in order to acclimate myself to altitude. I had very good practices and spent a lot of time prior to the event hanging out with Ricky Dornbush, who, as I, was staying at the Olympic Training Center (OTC). Staying at the OTC is always a great experience, especially this being a summer Olympic year. Meeting the numerous athletes preparing in a very important year is quite inspiring. I skated a clean short and ended up sixth and about 6 points out of third. I would be in the last warmup and had drawn 24th or the last skater of the event. That would mean I would knew exactly where I stood in the event immediately after skating. The long program at altitude is the real test of your training and endurance. While back stage, one of the skaters in an earlier warmup had to be helped off the ice, literally being assisted off the ice with a coach supporting him on each shoulder. When they got near me back stage, he nearly collapsed and all I remember is Peter (my coach) looking me straight in the eyes and repeating “look at me, look at me”. My dad later told me that several skaters were doubled over at center ice after their skate and he thought at least two skaters required oxygen in the kiss and cry. I had a reasonably good free skate although the triple lutz could have been improved and I doubled the loop. As I mentioned earlier, being the last skater, assured me of knowing how I placed at the event. Throughout the course of the season I never achieved the skate I wanted to skate. I did well, but not what I had trained and knew I could achieve. This day was no different. In the video section of this website is the link to the free skate at the Four Continents and the kiss and cry reaction. While in the kiss and cry along with my interaction with Peter, you can see my visible disappointment. Boy did that change quickly. When the scores were announced and I registered a third place finish, both Peter and I were ecstatic. OK maybe I slightly overreacted. But that was a great feeling. Also, not so bad to be on the podium with the two most recent World champions! A month after Lake Placid, I was on my way to Croatia for my second Junior Grand Prix in Zagreb, where Alex and I roomed together again. This time Shibs did a video blog of the event – catch it on Ice Network, it's a riot! Stephen Evans (my teammate) and I really enjoyed the practice rink there, with all natural lighting and interesting architecture. Once again, we lucked out with superb weather. The country was very pretty and the Old Town was beautiful and charming. We saw the impressive cathedral (St. Marks?) with the red and white tiled roof and the cross – the national symbol for Croatia. The Croatian fans were so nice – one of them even made a special Balkan salad my mother mentioned that she liked, and brought it to the rink for us, along with a box of chocolates. They also cheered for all the Americans, so it was great to feel welcome. We tried to be as accommodating as possible and signed a lot of skates, etc. The competition went pretty well in Croatia, and I was a lot happier with both of my skates than in Lake Placid, even though I ended up in second. The biggest thrill of all was that it qualified me for the Junior Grand Prix final in Tokyo, the first week of December. And it also got me off the hook for both regionals and sectionals, so I was doubly grateful. Since Croatia, I travelled to Vermont to watch New Englands to cheer on my skating mates from the Skating Club of Boston. It was fun to see everyone from Vermont, where I lived until 7th grade, before moving to Boston. On to my first experience on the Junior Grand Prix circuit at Lake Placid in September. Growing up in Vermont, I had trained across the lake (Champlain) at Lake Placid every summer, so I felt super-comfortable. From the welcoming rink manager to the zamboni drivers I still recognized, it was like coming home. I had two roommates from Team USA at the OTC (Alex Shibutani and Brett Dunie-Neustatt), which was a lot of fun. Between us, we had so many electrical appliances we had to buy a power strip! I also made new friends from the other countries – Kento Nakamura from Japan and Mark Shakmatov from Russia. Kento qualified for the final and I am looking forward to seeing him at the JGP Final in Tokyo next month. It has been one of the things I have enjoyed the most about the JGP series – the chance to get to know skaters from other countries as well as my own. Another special part of this experience for me was to have a chance to interact with fans. One very special fan, Ronie Reiley from California, and her daughter found out I would be at this event and actually came just to cheer for me. “Aunt” Ronie has been a fan of mine since my early days at the Cranberry Open, and it meant a lot to me that she would come to watch me. Summer flew by, with training two new programs for the season. I first did them in competition at the Boston Open, then at Liberty, both with good results. My new short is a version of Carmen, but you can really only tell it’s Carmen in a few spots. My new Long is very different from what I am used to, but it’s really given me an opportunity to improve my skating quality and I’m really starting to love it. As always, it is a challenge to come up with the costumes that work with the music. The male skaters at Boston have been sharing past outfits this season, as we all wait for our work-in-progress costumes. In May, my coaches, Mark Mitchell and Peter Johansson, took a small group of the older skaters to train in Milan for a week and to meet the Italian skaters who would be training alongside of us in Boston that summer. We also toured Venice and the Italian Lakes on the weekends – I loved Milan, but my very favorite was Lake Como. It is so beautiful there – be sure to go if you ever get a chance! The Italian skaters were really fun and we had a lot of fun when they came for training. We all learned some Italian and they learned a lot of English. Most importantly, I got a week of fantastic Italian food out of it! It was a year of firsts for me – first time competing as a Junior Man at Nationals, first appearance at a point-scoring International event, first opportunity to attend Champs Camp, and the first chance to train abroad with my own coaches. Last January at Nationals, the day after my 18th birthday, when Lindsay Weber informed me I had been selected for Junior Worlds, it was the best birthday present I could have ever imagined. Bulgaria, where Junior Worlds were held last March, was a country I had never visited, offering an unexpected charm and warmth. The people I met were friendly and open, and I was honored to be a member of Team USA, along with my training partner, Curran Oi, and now two-time Junior World Champion, Adam Rippon. It was an eye-opener at the team dinner for me, however, when our team leader announced that all the other skaters would be in the second part of their initial warmups, but I would have to be in the first part because I had no ISU points. 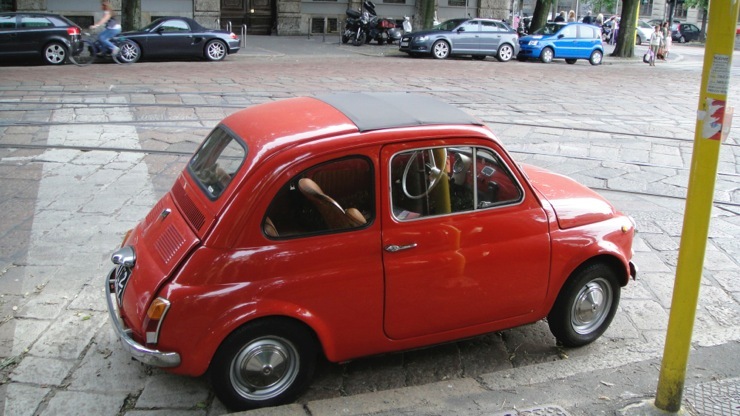 Talk about being the new kid on the block! For the long program, I found myself in the second to the last warmup, which was an unexpected bonus. My practices all week had gone extremely well, but I was disappointed in my long program, as it didn’t really represent what I have trained to do. Still, I was 9th in the long also, so I ended up in 10th overall. “Without experiencing the lows in life, one cannot recognize the highs.” WOW! That summed up my experience in 2009 in one sentence. 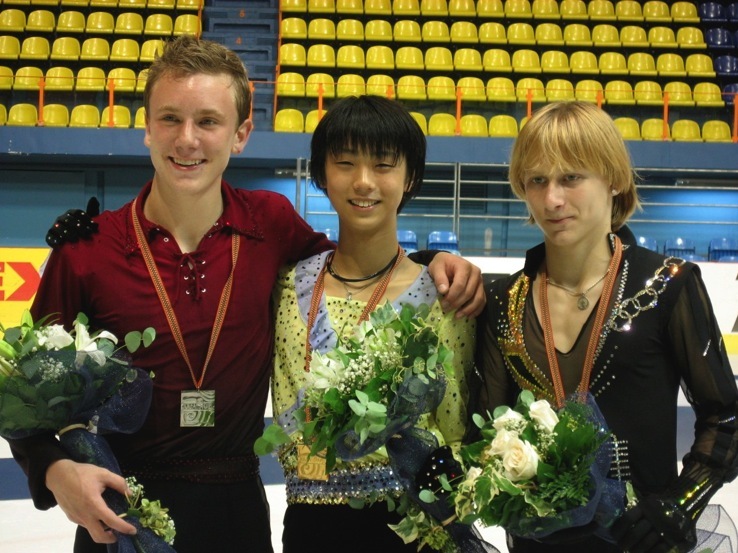 Coming off the Junior Grand Prix Final 2009 in Tokyo, life was good. After receiving the bronze medal at Yoyogi Stadium with the wonderful Japanese fans, training was going very well and I felt well-prepared for my first US Nationals as a senior man. That is, I was very well-trained and prepared until my first training session of the day on January 5th, 2010, at 10:30 am, when I everted my ankle on the landing of a triple axel in my program. Rolling all the way from the outside to the inside of the ankle, at first I thought I had broken my leg. Going immediately to my physical therapist, Peter Breen, initially it seemed like a normal ankle sprain, as the swelling was minimal. The pain, however, was acute – so acute, in fact, it hurt to even put the skate on. By the 12th of January, the day I was supposed to fly to Nationals, I was still not able to do what I could, and I had to withdraw. In searching for a better handle on the sprain, we then scheduled an MRI for the next week. When that was read, I was diagnosed with a different type of injury, a “high” ankle sprain. At this point, having been selected for Junior Worlds, I was still convinced with PT 1-2 times daily, six days a week, that I could regain my skill level in time to compete. My coaches, Mark Mitchell and Peter Johansson, were incredibly supportive, even going with me to doctor’s appointments, and I received excellent treatment from both my physical therapist, Peter Breen (1992 US Olympic team member in dance) and the staff at Children’s Hospital Boston, particularly Dr. Ellen Geminiani and Dr. Michael J. O’Brien. By mid February, however, it became clear that it was, in fact, true – a high ankle sprain takes twice as long to heal as a regular ankle sprain (look at Lucic of the Boston Bruins). The elevated level of strength essential for the triple jumps requires a 95% rehab rate or better, versus the standard 85% functionality rate considered adequate for the general public. We called USFS to give the first alternate, Keegan Messing, a heads-up, and he did a great job representing the US at Junior Worlds last spring. By the end of May, I was back on the ice full time. Mark and Peter took their students to Milan to train for a week with the Italian skaters, like Francesca Rio and Alice Garlisi, and it was a lot of fun. You can learn something valuable from each new experience, and we enjoyed seeing Verona, the birthplace of Shakespeare’s Romeo and Juliet, on our one day off. Spring continued with various show performances, and I worked on my new programs in my daily training. 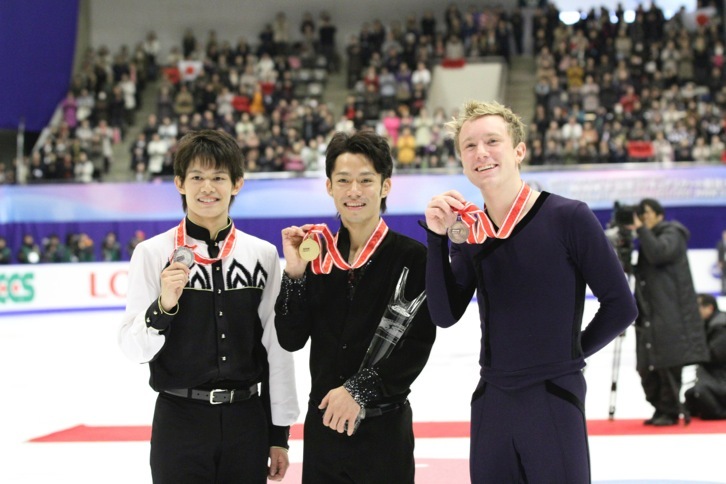 By Liberty, I was aware of my two Grand Prix assignments in Asia – nearly back to back. Of course, I was thrilled! The logistics of the time differential and the chronological closeness of the competitions were challenging. Finally, it was determined that Peter and I would stay in Asia in the interval between NHK and Cup of China. Akiko Suzuki was very kind and generous in inviting me to train with her on her ice, and that was tremendous. She was terrific to train with on a daily basis – so warm and hard-working, not to mention faster than a speeding bullet! At NHK, it hit me that I was on the ice with the “really big” guns of male figure skating. I held it together but don’t feel like I was able to get into the character of the performances as much, as I was a little tentative and worried about making a mistake. By Cup of China, I think my programs looked more polished and emotive, and my results showed that improvement. Still, though, I was a long way from my goals of where I wanted my skating to be. On the long plane ride back from Asia, I looked at where I was and where I wanted to be. With the help of my wonderful coaches, Mark and Peter, we focused on what it would take to get me where I wanted to be with my skating and made plans. Not only did I want to do a good job technically, I wanted to draw the audience in and make them a part of my programs…to share my joy and love of skating with them. All November, December and January, I trained hard for Nationals. My hope was to skate two good programs, and not focus on the results. When I got to Nationals, I was just SO happy to be there and be able to skate, after sitting out last year. Greensboro was an amazing host city – a shout out to them for the great job they did with the transportation, volunteers, and overall friendliness and courtesy of everyone I encountered. At the beginning of the week, all the competitors, coaches and chaperones got on and off the buses silently. By the end of the week, however, the warmth and cordiality of the bus drivers won us over, and every single rider would say “thank you” to the drivers. It was an interesting concept, how a small group of courteous people in a concentrated amount of time can change the behavior of a larger group of people for the better. Maybe something we can all learn from? So now, the high of Nationals exceeded my expectations. 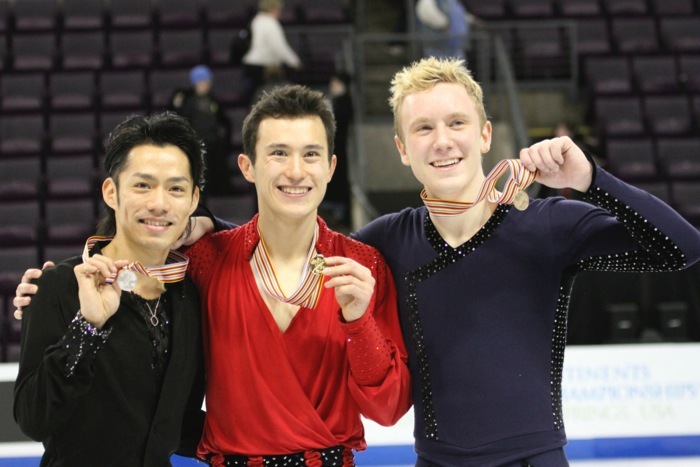 Senior men’s freestyle was an amazing event, with so many incredible skaters. I was so thrilled to receive my first standing ovation ever, and to be able to skate in competition the way I had been training. That was a moment I will treasure for a lifetime. My excitement increased when they named Ryan, Ricky and I to the World Team. Although I am aware there has been some negative publicity about my selection in such a close race, and all the candidates for the team were well-deserving, please rest assured I am training very hard with the goal of representing the United States well in Tokyo. I look forward to revisiting Yoyogi stadium, and I am very thankful to have the opportunity to enjoy the great Japanese fans again!